With data and data loss being in the news a lot over the past week, I think now is a good time to run over the major causes of data loss and what we can do to mitigate against them. I think there are five main causes of data loss. Let us take a quick look at each cause and see what we can do to prevent it. With all the news around the recent ransomware attacks, it is no wonder that viruses and malware feature highly as causes of data loss. Not long ago, viruses were predominantly used to wipe data and cause disruption. They seemed more anarchist than anything else and the intent seemed to be more about causing trouble than making money. 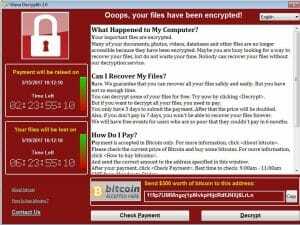 Now the intent has changed, with fewer viruses being written and many more malware and ransomware attacks. It is now more about money than anarchy. More businesses are targeted than home users but malware doesn’t discriminate. Preventing data loss from malicious code is twofold. Barrier and backup. Protect your systems from viruses and malware by using a good quality antivirus and malware scanner. Always use a firewall whether hardware of software. Teach staff or family members to never open email links or attachments unless they know who it is from and to be careful when wandering around some parts of the internet. Regularly perform backups of your computer and your data. For businesses and for important files at home, backup one copy to the cloud and one copy on a USB drive or other backup solution. Humans have always been the weak link in computing. We create the programs that have weaknesses that others exploit and we let in malware and fall prey to phishing attacks. We also spill coffee on computers, forget to maintain them so they overheat, store our backup next to the computer and a range of other things from causing fires to not adequately protecting our computer from harm. The best way to prevent data loss through human error is to automate as many things as possible and to set up the computer or office to minimize disruption. Automate antivirus scans, malware scans and operating system updates wherever possible. Automate backups to the cloud and to removable drives and store those drives somewhere safe. Place computers a short distance away from where users would place their coffee or water and instigate a regular computer cleaning schedule. While these steps will not guarantee that no accidents will happen, they lower the chances of one and elevates the chances of your being able to quickly recover should anything happen. Hardware failure comes in many forms but to cause data loss is usually concentrated around the hard drive. RAM failure can also cause data loss but this is mainly when you’re working on something and haven’t saved for a while. That can be incredibly frustrating, but in the scheme of things is less disruptive than losing an entire hard drive full of important files. Hardware failure such as a hard drive or SSD failing will usually mean that you will not be able to access the files on that drive. Much depends on what has happened. Sometimes, a hard drive can be temporarily resurrected in order to recover files, sometimes it cannot. When an SSD fails, it is almost always terminal. 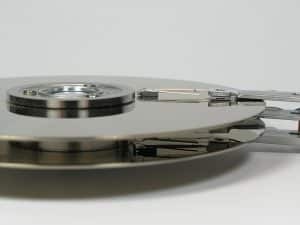 If you use a traditional hard drive, you can likely use SMART (Self-Monitoring, Analysis, and Reporting Technology) to tell you if the drive is working properly. SMART isn’t foolproof but can give you an idea of how well the drive is working and how likely failure could be. The only mitigation for hardware failure is good maintenance and a backup regimen. Keep your computer healthy by keeping it clean, dust-free and cool. Make sure you have an automatic backup schedule in place that backs up important files twice. One to removable media and one to the cloud. Fire and theft are two significant causes of data loss. Fire causes hardware failure and can often prevent data recovery due to irreparable damage to hard drives. Theft obviously means you lost access to your device in order to access the data. According to statistics, 25 percent of laptop thefts happen from cars, with leaving them at airports and hotels account for 15 percent of losses. It is difficult to mitigate against fire. Even by taking precautions such as not smoking, keeping computers dust-free and well ventilated, electrical fires have multiple causes. Theft is a little easier. Be careful with your devices, protect your building, be aware of who is around you and do what you can to protect yourself. Hard drive encryption can also help. Power outages can cause havoc with any electronic device that is connected to the mains. Whether you are writing a thesis and haven’t saved it for a while or are writing to the hard drive when the power goes out, data loss will usually occur afterwards. Frequent power outages will stress electronics and can shorten the operating life of computers. If your hard drive happens to be writing system files or boot files when the power goes, trouble follows. Depending on the nature of the damage, we can often recover data using specialist tools. If you’re lucky, the drive will only have corrupted a single file and we can access everything else and copy it to another drive. If you’re unlucky, the internal electronics of the drive get fried and it is DOA. It is better to prevent power outages where at all possible. Using a UPS to regulate voltage and provide power when the mains goes down is a very useful way to work. You then have the time to save your data and shut down the computer properly, preventing damage. They can be expensive but are worth the investment if you experience frequent power outages. If you do suffer data loss or issues with hard drives, bring them to Dave’s Computers in Hillsborough, New Jersey. We are data recovery experts and will do our utmost to save your critical data.